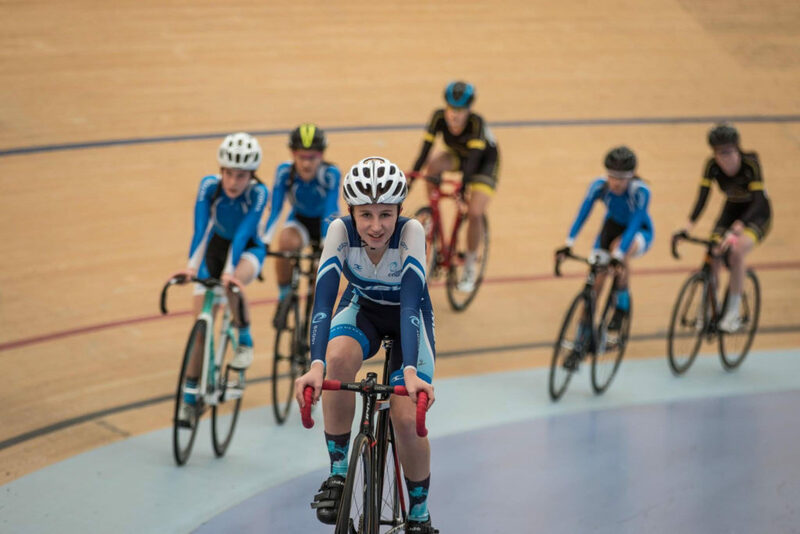 One of the areas I really love to cover in my blogs is female professional cyclists and this week I’m profiling a young rider who just finished a very successful National Junior Track Championships and aspires to greater things. Her name is Keira Will and she’s just 13 years old, but to meet her you’d think she was older. 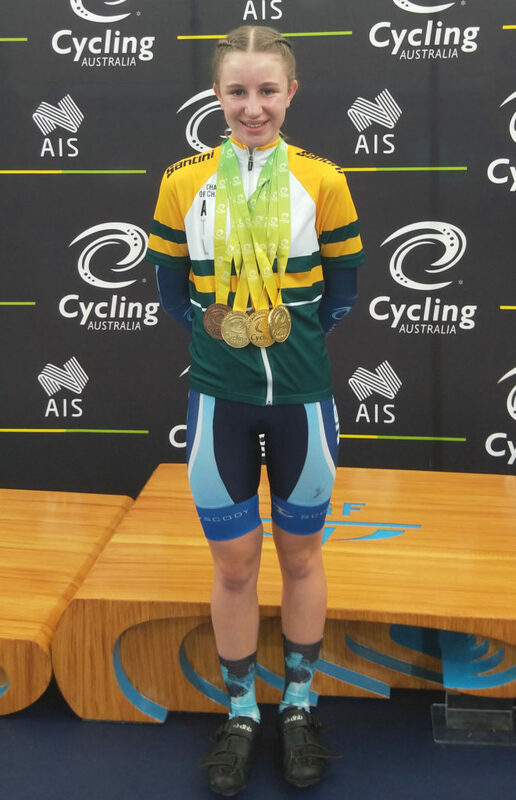 At the recent Championships, where she competed in the Under 15 girls category she won five medals – three gold and two bronze. Plus she took home the coveted Champion of Champions jersey for being the Under 15 girl with the most points. A great achievement for one so young. I’ve known Keira since she was about three years old and I’ve been riding alongside her for most of that time. In fact, when she was really young she struggled to keep up with me, but for many years now she has been able to outride me leaving me in her wake. I sat down with Keira after her recent success and asked her about her experiences at the Nationals and her future aspirations. There’s one technicality I need to explain about cycling. Because it has fairly low participation rates in comparison to bigger sports, the kids race in two year age categories, so Keira races in Under 15, even though she is only 13, turning 14 this year. Next year she will be turning 15 so she’ll go up to the next age category. Keira said she was very excited to be selected for her second track National Championships. Last year it was her goal to just make the team, but this year her goal was to make the team and take home the Champion of Champions. She felt proud putting on the NSW uniform knowing she was selected as one of the best riders in the state. The first race that took place when they arrived at the team accommodation in Brisbane was the race to secure the best bed. Keira actually got to choose because she won the Individual Pursuit race at the State Champs, so of course she chose the big bed. She said she really enjoyed the team camaraderie at the accommodation and the track. She described to me the way she and her team members looked after each other throughout the event. If one rider was warming up for a race, the ones who were not racing would offer to help by fetching drink bottles or food, and of course cheering each other on. Keira also played a guiding role for the Under 15 girls who were attending their first Nationals. Plus, as the strongest rider in her category she felt a weight of responsibility because her fellow riders told her they would be riding on her wheel. That meant that if she did badly in a race so would the riders following her lead. As for the racing, Keira said she enjoyed winning the scratch race most of all. To cross the line first she had to use both mental and physical strength so it was the most satisfying. Although, she was very relieved when she won the Individual Pursuit, because all her training had been geared to that event. I always ask athletes about their goals and Keira is no exception. Her goal for the rest of 2019 is to win the Champion of Champions at the National Road Championships in September. As for her long term goal, she aspires to represent Australia at either road or track at the Olympic Games, but it’s not something she focuses on. I for one will be watching her progress and cheering her on after enjoying her National Junior Track Championships’ performance. Share your experiences via comments or the Women Who Cycle Facebook page.